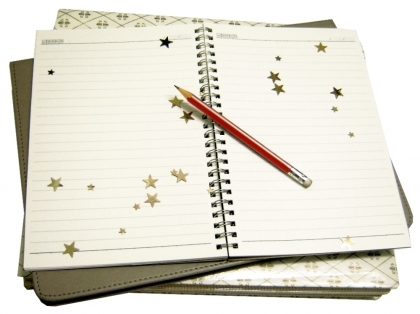 Ever since we developed and mastered writing, people have been writing diaries, memoirs, journals and other personal notes. They helped us record important moments in our lives, and they even got to be sources of information about important historical events or important people. The habit of writing a journal is found everywhere in the world with every culture, and people of all ages, both women and men do it. However, the functions of the diary have slightly changed over the years, because today technology is at our disposal for recording memories; we can take pictures or make videos and “save” parts of our lives with accuracy. In the past, writing a journal had a much greater importance because it represented one of the few ways of recording something; thus, it also sometimes included drawings or paintings, dried flowers, ribbons, or other objects and memories. At some point, the diary meets the scrapbook, and together they are more complete. So what are the benefits of writing a journal today? To begin with, it has the same benefit it always had: to offer perspective. Because most journals are private and remain that way, it is the writer who is supposed to gain perspective on his/her life. While today you may feel somehow about an important event, reading about it days or weeks later can make you realize something new that you hadn’t noticed before. It is this sense of narrative that is so appealing about writing a journal, and it makes people feel like they actually have a direction in life; like they are coming from somewhere and going to a precise location. Furthermore, writing a journal can be extremely helpful for those who’ve been through traumatic events; although painful, remembering and talking about such events can actually help us heal. Denying a part of your life is never healthy, no matter how painful it is; and the only way to become strong and overcome it is by accepting it. Thus, if it is something you don’t feel comfortable discussing with others, the journal can be the perfect environment. For some people, writing a journal is a duty, especially if they feel they have some knowledge to impart; although memoirs and diaries are essentially different, the two sometimes meet. So you can also write a journal if you feel like you have something to say. And while some like to record important general events, some use the journal as a dream diary. This is a practice sometimes used in psychology or psychotherapy, and it can help the patient overcome some fears, some memories or traumas. It is said that the more you write in your dream journal, the better will you start to remember your dreams; and since our dreams are sometimes revelatory of our unconscious and subconscious behavior, writing down about them is definitely a good practice. Need more writing tips? Visit GoodWritingHelp.com to find free writing guidelines. Finally, as a bonus note, dream journals are also kept by those who want to master the art of lucid dreaming; those who manage to remember plenty of details from their dreams can also get the ability to control their dreams, and realize that they are asleep without waking up; flying in your dream or visiting places that never existed can be a lot of fun, and can even offer self-knowledge, so the attraction for this habit is understandable.